Clyde and Marguerite Burnet (Burnett) were from Plainfield New Jersey. Their father was a stationer. That’s correct. They were siblings. In fact, the evidence seems to show they were sisters. They were born in 1877 & 1879 respectively. They lived the first 40 or so years of their lives in the family home, a decent sized Queen Anne near the current Plainfield High School. 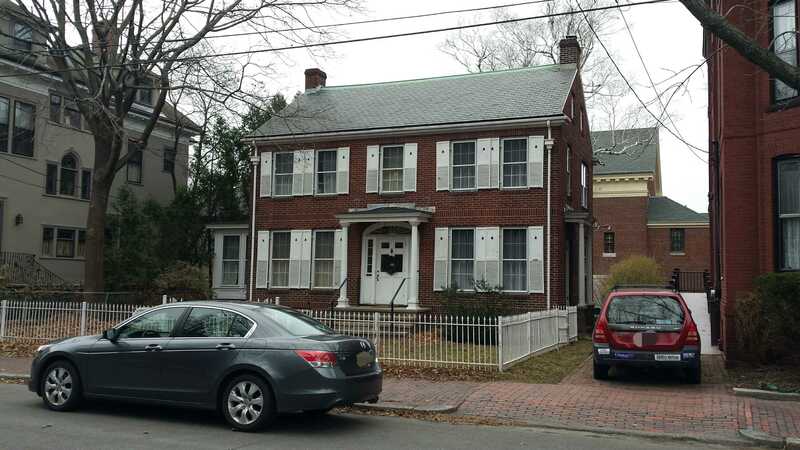 The ‘Burnet’ house in Plainfield New Jersey from the Google. Clyde and Marguerite taught music while living in New Jersey but listed ‘none’ for employment on the censuses of 1930 & 1940. Their father, Charles died sometime between 1905 & 1910. Their mother, Margaret, died around 1921-23. She was alive in 1920 but not so by October of 1923 when Clyde and Marguerite purchased the land for our subject from James Romito. Romito was an Italian immigrant and WWI vet who dabbled in real estate between the wars. 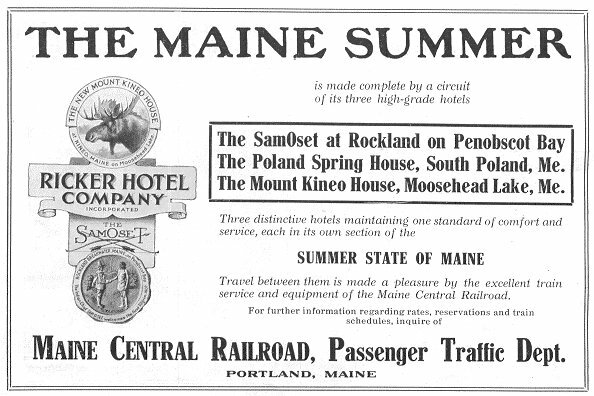 He had purchased the lot from Hiram Ricker, scion and by then president of the Poland Spring Company and several hotels, in July of the same year. There is no obvious reason for the Burnet sisters to have chosen Portland has their new home. They may have been attracted to the city for its location and beauty. Perhaps it was the Williston West Church, founding home of the Christian Endeavor movement, that brought them here. Clyde’s will of 1958 shows a strong desire to support christian missionary works. 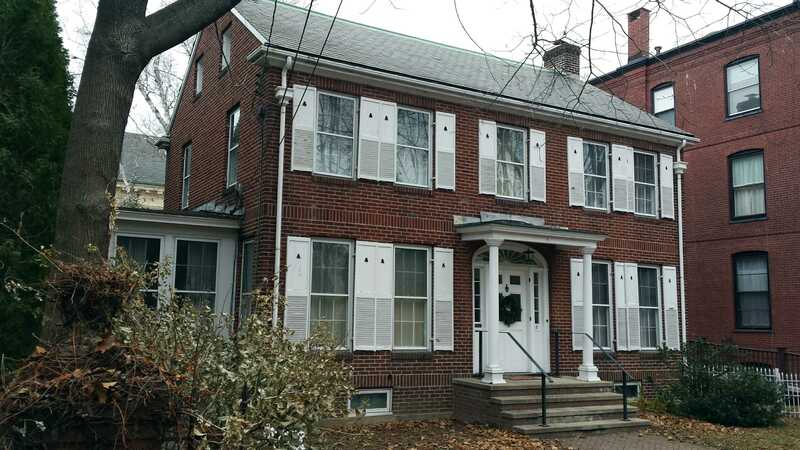 Regardless of the reason, what is certain is they built a simple yet elegant Colonial Revival home of brick in a somewhat posh neighborhood. The house is not large or particularly grand but it’s well proportioned and nicely placed on its lot. The brick is a rich color set in a simple running bond. The color is especially nice against the white trim. 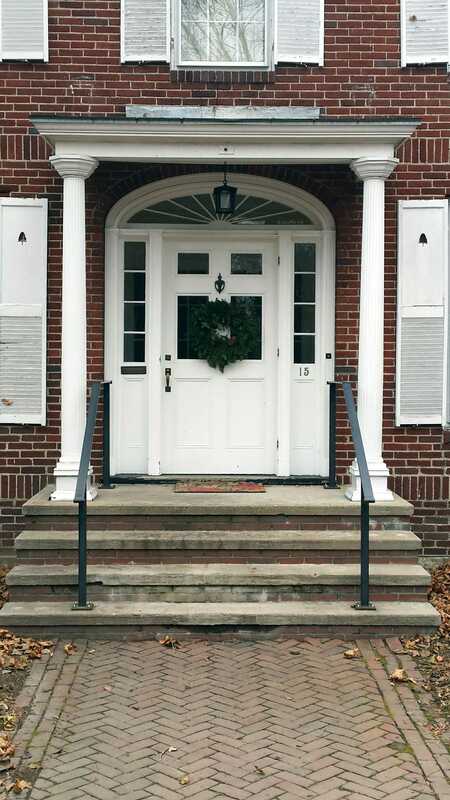 The entry portico is nicely scaled and understated in it’s detail. The columns on the other hand are ‘wonky’ being to narrow for their height and extremely ‘pinched’ at their tops. They support a low hipped roof that had a simple balustrade when first constructed. That would have helped to balance the composition. The house is small by West End standards and set’s nicely on it’s lot with a large garden area in the rear. The windows are quite large for the wall space. They no doubt allow allot of light into the house but would greatly reduce interior space for art etc. 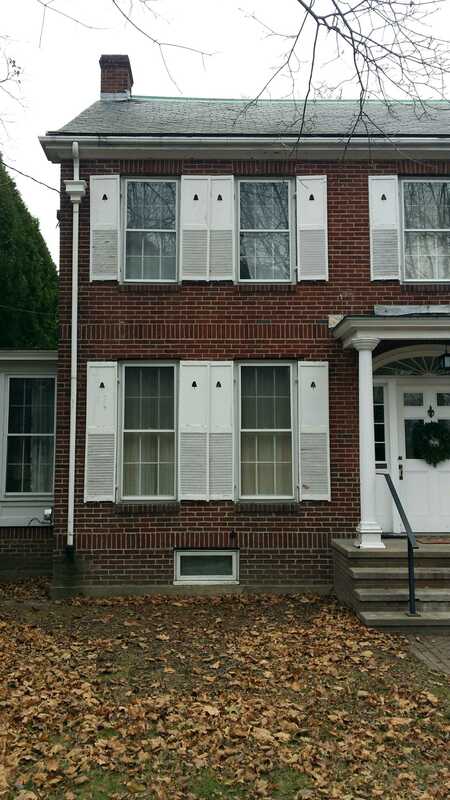 The shutters with their simple, elegant, tree form detail are functional which is a rarity today. The house was purchased in 1959 by Louis and Ouida Wilkins. Louis was born in Portland in 1919 to Jamaican immigres. In 1940 he was a truck driver for the power company and living with his parents, Mary and Eric, on Spruce Street. Ouida was born in Jamaica in 1924. She married a local doctor at 17 and had 2 sons before he died in 1946. She married Louis in 1948 and moved to Portland with her sons. They would live out their lives at 15 Carroll Street. Louis died in 1993 & Ouida in 2015. The home is now owned by her grandchildren.